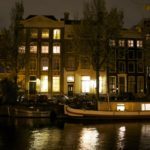 Team Icinga is going to Amsterdam next week – join us at Icinga Camp Amsterdam on 28.6.2016 and DevOpsDays Amsterdam from 29.6.-1.7.2016! A full day of monitoring madness – getting started with Icinga monitoring, Icinga project updates and hands-on with Icinga Web 2. Diving further into beautiful graphs with Graphite and Grafana and Icinga 2 API for managing your monitoring stack. Automation and configuration management with Puppet and Ansible is also covered during the camp talks. And keep your fingers crossed – Tom will talk about the Icinga Director providing latest insights into the upcoming 1.1.0 release. Register now if you haven’t done so already! 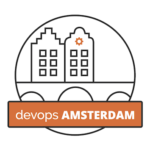 We’ll be having our Icinga 2 Workshop on 29.6.2016 on the first day of DevOpsDays Amsterdam. Basic installation of Icinga 2 and Icinga Web 2 diving deeper in fancy dashboards, configuration hands-on and the Icinga 2 API. Join us there – we’re also sponsoring the event, just look for the guys wearing the Icinga logo!